In the near future we can send you the English version of the brochure with further information about speakers and topics. 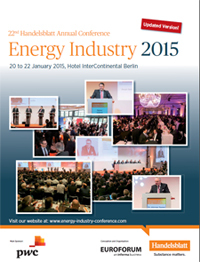 Receive the latest news and information concerning the European and Germany energy market. Contribute the high-ranking experts` discussions on the economical and political challenges.